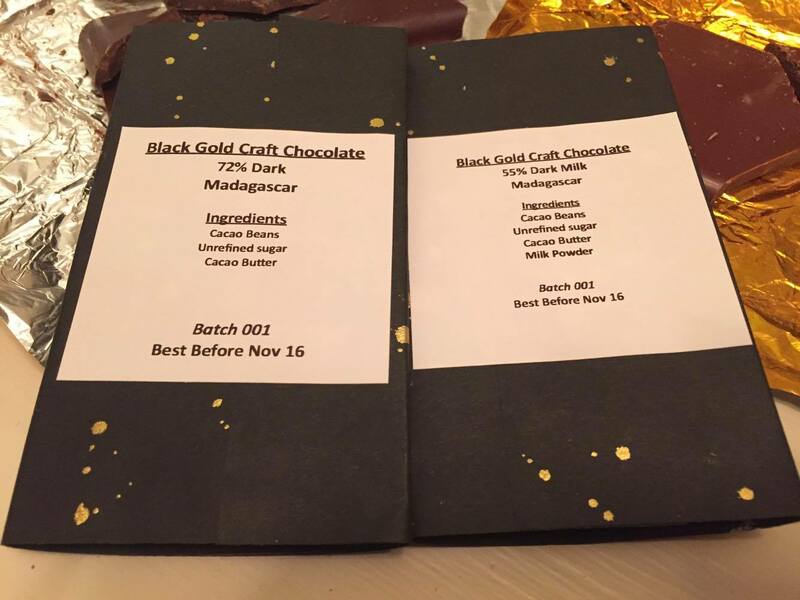 Black Gold Craft Chocolate - Derby. 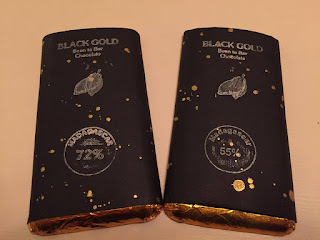 Last week I was having a snoop through Instagram (@monetbrooks) as you do and came across Black Gold Bean to Bar Craft Chocolate. The photos of the chocolate looked so good! After chatting with creator and budding chocolatier Bryn, a pastry chef from Derby, I was kindly offered some samples. 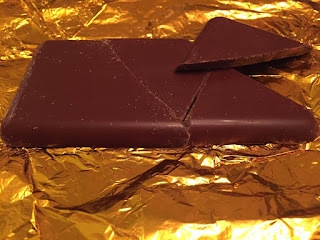 Two very welcoming cute bars of chocolate. The first thing that stuck out to me was the handmade packaging. It makes it so much more personal, like you're getting a product from a person and not some machine in a factory which I see as a great selling point. The colours obviously represent the name of the brand and work very well together. I personally see the gold representing quality, luxury and richness then the black symbolising the cocoa and mystery. Very psychological, I know. Each bar had the contents shown on the front. I was sent 72% Dark and 55% Dark Milk - both Madagascan. When it comes to chocolate, I'm much more of a milk and white fan myself. That's why I decided to start with the darkest. 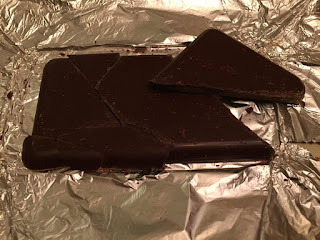 Each bar comes as a slab, this one had broken in the post which I was actually quite pleased with as it made it easier to break into bite size pieces. Upon unwrapping the smell of the chocolate is immense. The texture was silky smooth and melts in the mouth. 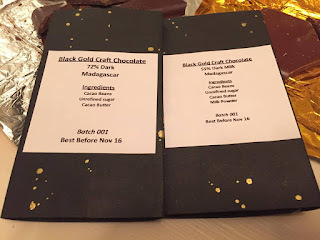 The balance of sweetness to bitterness was spot on, just want you want in a dark chocolate. 72% is the perfect richness. Afterwards you're left with a very pleasant after taste and left wanting more. I really enjoyed this bar and like I said, I don't usually do dark. Next up, the dark milk. Straight away you can see the difference in colour, a lot more lighter. Although it looks like milk chocolate and is significantly less rich, you still get the characteristics of the dark chocolate. A very tasty bar but not as smooth as the previous. Overall, these are products that I would definitely buy if I came across them again. I was very impressed with the quality, the handmade touch and the fact that it's local. 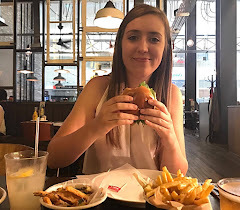 I can't wait to see what new flavours and creations Bryn comes up with in the future, they're sure to be a success if these are anything to go by. I really think these should have a lot more recognition and be selling a lot more. They'd be great to sell at local food festivals and fairs. Definitely one to look at!